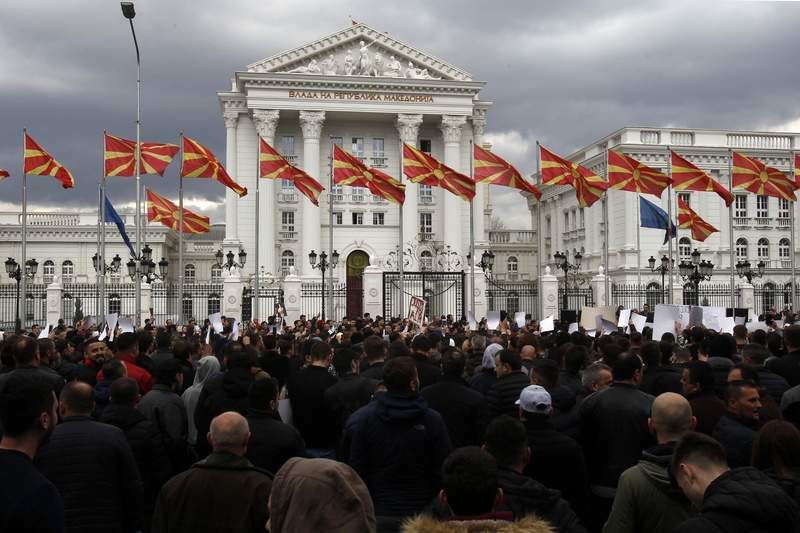 SKOPJE, Macedonia -- Macedonia's justice minister has resigned following public outcry about the case of a 4-year-old boy killed nearly two years ago, after a prosecutor reduced the charges against the driver of the car that hit the child. 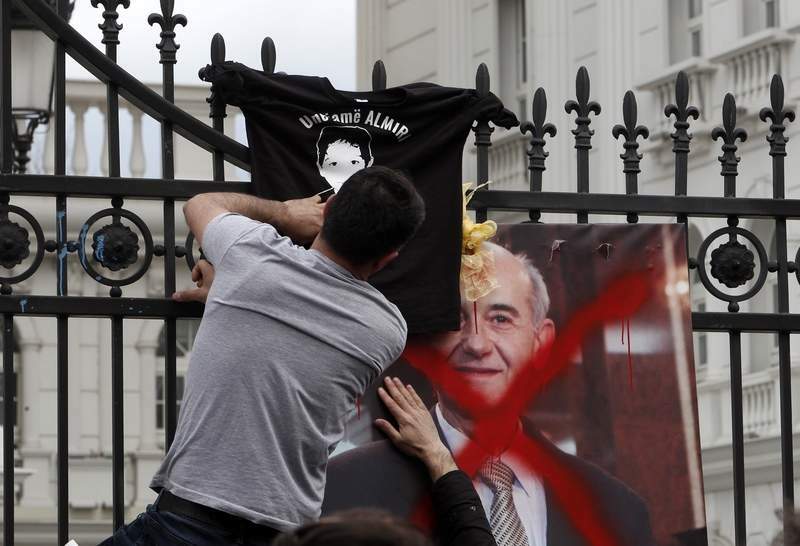 Bilen Saliji, a minister from the government's junior coalition partner, the ethnic Albanian Democratic Union for Integration, said late Tuesday he was resigning because of deteriorating public trust in the judiciary. The prosecutor reduced the charges against the suspect in the case earlier this month from "deliberate murder" to "serious traffic offense." The murder charge carries a maximum life sentence, while the traffic offense charge carries a potential sentence of four to 20 years. Almir Aliu died of his injuries about a week after being hit by a car in the northern town of Kumanovo in June 2016, allegedly following an argument between his father and the car's driver. The argument allegedly broke out after the boy's father allowed someone else to cut in front of him in line while waiting to see a doctor at a local hospital, angering the driver who was also waiting. The confrontation reportedly escalated to the point that relatives of both families arrived and joined in. The car's driver has said he didn't mean to hit the boy, and had accelerated in his car only to escape the father's relatives. 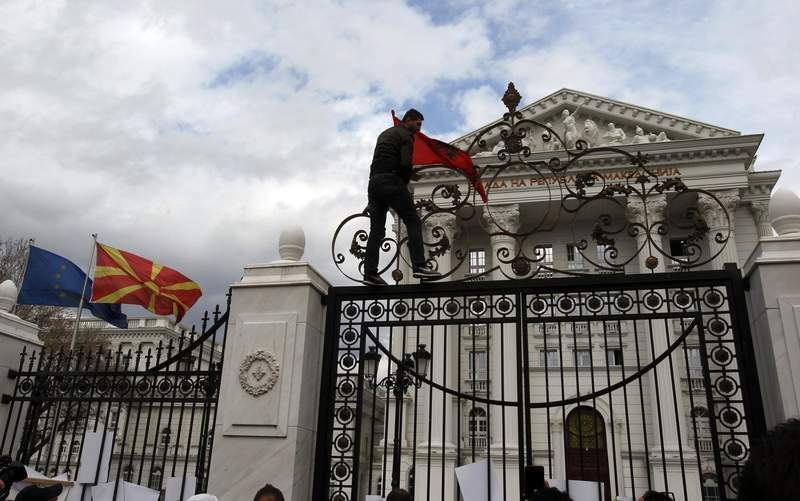 Macedonia has been warned by the European Union, which it hopes to join, to reform its judicial system, which has low levels of public trust and is believed to be controlled by the country's political elites, with corruption scandals and nepotism. Law experts and political analysts in Macedonia have accused Saliji of failing to deliver expected results in judicial changes during his 10-month ministerial tenure. On Wednesday, more than 1,000 people, including some of the boy's relatives, gathered outside the government building to protest the reduced charges. The protesters placed toys, balloons and banners between metals bars on the government building's fence. "Little Almir does not rest in peace," one of the banners read. 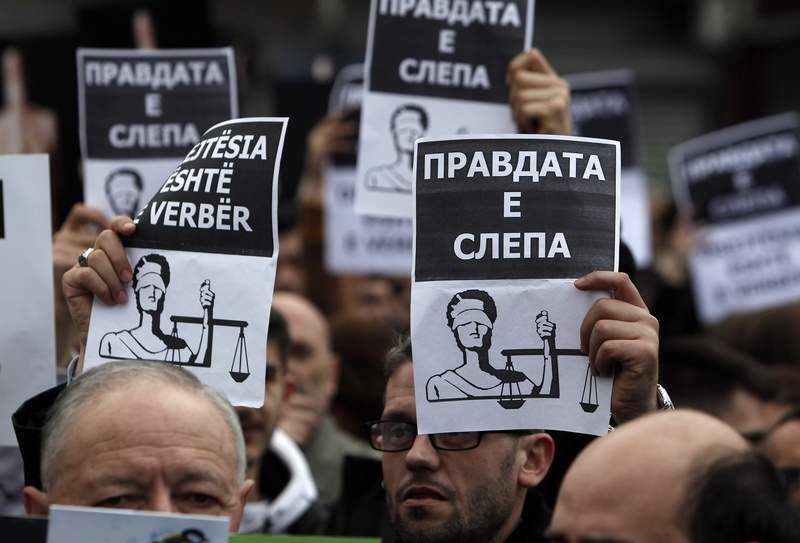 Visar Vishka, an actor who was among the protesters, said the demonstration was against "rotten justice" in Macedonia, and called for the resignations of the prosecutor and the judge involved in this case.